It’s one of the cruel ironies of life that people who selflessly advocate on behalf of others often feel guiltiest about turning inward and dedicating any time to their own lives. After all, just think of all the protests you could have organized in the time you gluttonously spent reading bedtime stories or packing school lunches. How could you have turned your back on those you care most about? Or do you simply not care as much as you used to? It’s almost enough to make someone wish they weren’t aware of the issues the world faces, if just to experience a brief moment of uncomplicated bliss. This guilt is rooted in the premise that we each have a finite number of hours to work on issues we’re passionate about—they’re not to be squandered. It’s a good thing that some of history’s most influential activists didn’t follow this misguided advice, though, or their actions may have been less inspired. Leading up to becoming a new father, one of my fears was that I would instinctually put blinders on and become deaf to issues I have spent a great deal of energy working on up until now. The world would end at my front door, and things that previously mattered to me would be deemed trivial. 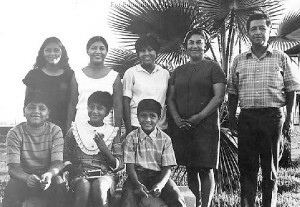 Cesar Chavez with his family. In fact, the opposite has been true. I did have an instinctually emotional response to my daughter’s birth, but being around her has made me more empathetic toward animals, not less. My heart shatters thinking about the orcas at SeaWorld, whose newborn children are stolen from them at birth and sold to theme parks halfway around the globe. Now, more than ever, my blood boils when I think of male calves taken away from their mothers and sold to the veal industry, just so humans can drink the milk intended for her boys. 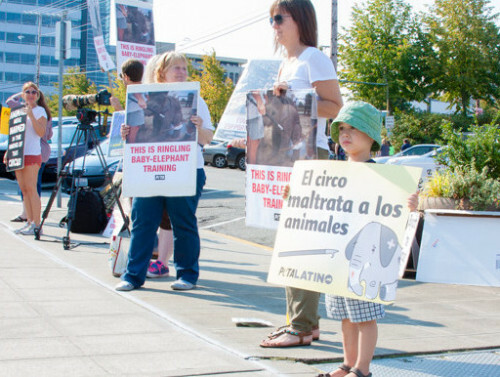 Some might say I’ve gone soft, but if seeing my child’s face on every abused animal is a sign of weakness, I don’t want to be strong anymore. It also makes me want to improve the world in which I live, because I now wake up to greet the generation that will outlive me. Seeing my daughter is a constant reminder that there is much work to be done, and that we don’t have time to waste. As history shows, I’m not alone. Many of the most prolific social activists of the past century have also been parents, inspired by their young children at the time of their most significant accomplishments. Indeed, it was his four children that Martin Luther King Jr. dreamt about one day living in a nation where they would be judged by the content of their character, not by the color of their skin. Howard Zinn had two children, and Noam Chomsky has three. Malcolm X had six children (all daughters). Cesar Chavez had eight (! ), and still found the time to earn his title as an icon of civil rights. 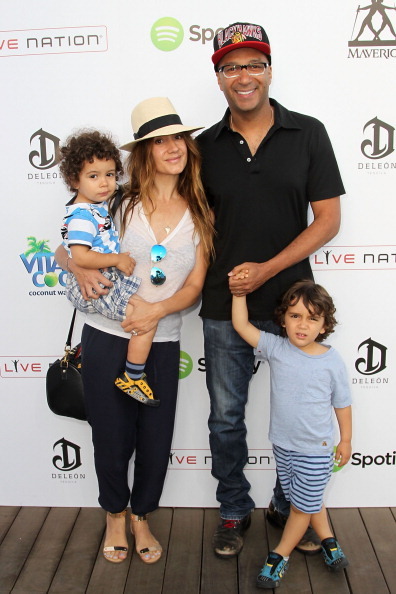 Tom Morello with his family. Even some of the most famous plant-powered celebrity activists balance raising a family with their careers and advocacy, including Samuel L. Jackson, Casey Affleck, James Cromwell, Mos Def, Paul McCartney, Ricky Williams, Russell Simmons, Tom Morello of Rage Against the Machine, Tobey Maguire, and Woody Harrelson, who raised all three of his daughters on a vegan diet. And those are just the dads. Two years ago, I had the pleasure of meeting Mac Danzig, a feared Ultimate Fighting champion and vegan advocate, at a conference. I already knew he was sympathetic, but based on his career choice, I fully expected him to be a macho (faux)meathead. Imagine my surprise when I picked up him and his six-year-old daughter, Nova, at their hotel, and he spent the majority of the drive to the conference playing games with her and pointing out the pretty scenery. What became clear over those 30 minutes was that I wasn’t seeing a different side of him—I was seeing the source of his strength. He went on to say that sharing healthy vegan meals with his daughter is one of the greatest joys of his life, and that she helps keep him motivated in his all of his other pursuits. There are, of course, countless examples of people who never had any interest in raising children and went on to change things for the better—and nobody should have kids unless they’re fully committed to it. But anyone who suggests that choosing to have kids means compromising your beliefs and spending less energy on the issues you care about is forgetting that, for many activists, our children are a constant reminder of why we do what we do. 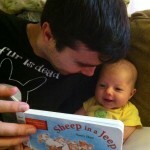 Ryan Huling is an associate director at PETA, volunteer tutor for Liberty in North Korea, and a new father.